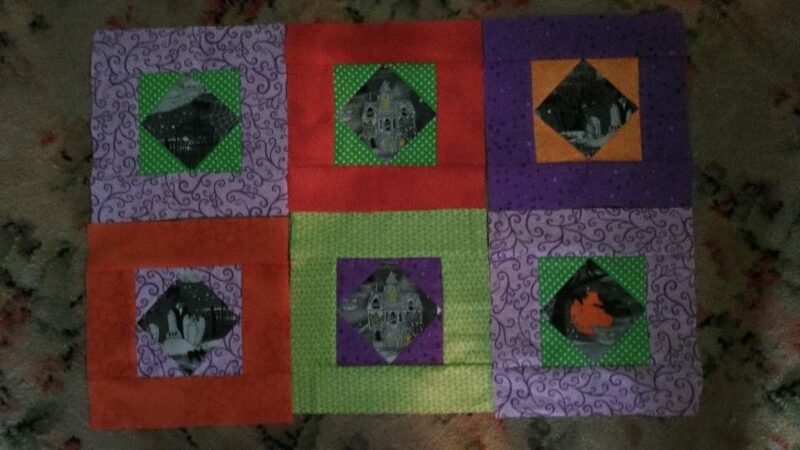 Home » blocks » 6 More for Kathy S.
6 More for Kathy S.
Posted by Kathy.Snider on October 13, 2018 in blocks | Comments Off on 6 More for Kathy S.
I had more time to play with the Halloween blocks. Here’s a couple of spooky mansions, a witch, a cat, and a graveyard and a vampire… Sorry the photos are so dark. Glad the fabics are bright. This makes a total of nine for me this month.